Singaporean signups are mostly made up of sugar babies. Singaporean girls have apparently gained a reputation on Malaysia-based TheSugarBook, a sugar daddy dating app. 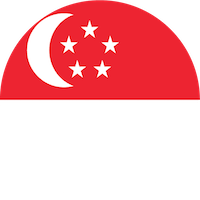 Within a year of its launch, it has attracted more than 28,000 sign-ups from users in Singapore -- most of which are sugar babies. The app has even come out to say that it is looking to recruit even more “sugar babies” through promotions targeting undergraduates. Malaysia-based TheSugarBook started operations in December 2016 and markets itself as a link-up between “well established wealthy individuals” who “wish to pamper sugar babies with financial support in return for love and companionship” and those who “appreciate the glamorous life indulging in the luxuries that life has to offer”. The website aims to “provide a safe and discreet online platform which focuses on anonymity and privacy to legitimately build relationships with benefits between consenting adults”. TheSugarBook currently has 75,000 members and Singapore currently makes up 28,000 of those sign ups. The rest are mainly from the Philippines, the United States, and India. According to The Malaysian Insight, three out of 10 users signed up on the site as sugar daddies. However, only 10% of these sugar daddies are in Singapore. While the site is open to anyone to sign up, majority of its users in Singapore are young women aged between 19 and 33, including university students, indicating a high number of sugar babies. There are “definitely more female sugar babies in Singapore (than sugar daddies here) at this point”, a spokesperson from TheSugarBook’s confirmed. Sugar daddies have subscription fee of US$49.95 monthly, US$128.85 for three months, or US$215.70 for six months. Sugar babies, on the other hand, pay US$9.95 monthly. However, there is a promotion offering free premium membership to students over the age of 18, if they register with their university email addresses. The promotion carries the tagline, “discover the modern way to avoid student loan debt”. Its spokesman has also come to say that the platform merely grants women the opportunities to meet “high calibre, high status and financially able” men, so they can lead the lifestyle they want”. TheSugarBook founder and chief executive officer Darren Chan, 31, aims to grow membership to more than 200,000 by June. Would you ever use a sugar daddy app like TheSugarBook? Let us know in the comments. What’s The Difference Between A Sugar Baby And A Prostitute?